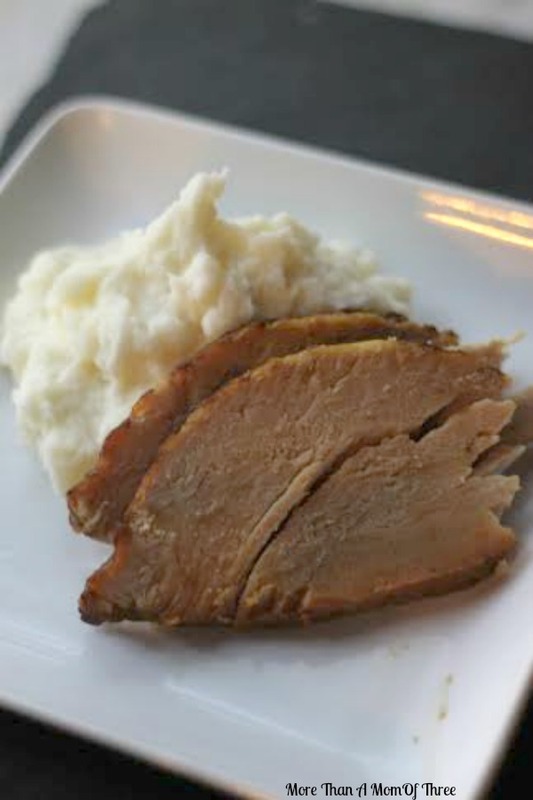 If you need a tasty Sunday night supper or something easy while you work this super simple crockpot Balsamic Pork Loin fits either need. What you get after letting this cook all day is a lot of delicious rich flavor, tender texture, and an amazing scent floating through the house with minimal effort. 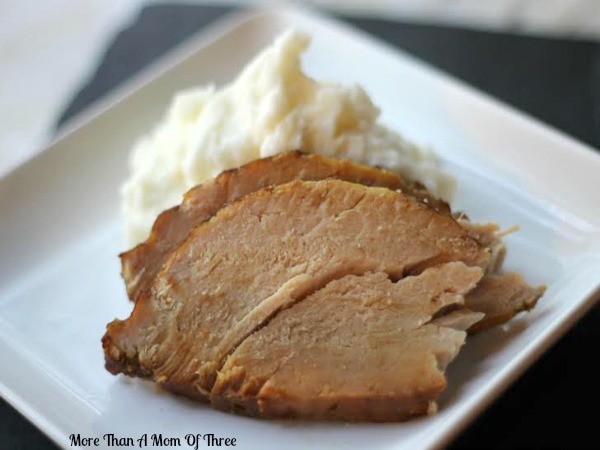 A perfect crockpot recipe for us busy moms! Crockpot meals are the best for those reasons and I try to use my slow cooker at least 2-3 times a week. It just makes my day easier and more productive knowing I do not have to worry that much about dinner. Simply add some buttered bread or rolls, mashed potatoes, and roasted asparagus (my favorite) and you have a complete and amazing meal on the table with little fuss! Your family will think you slaved in the kitchen all day. 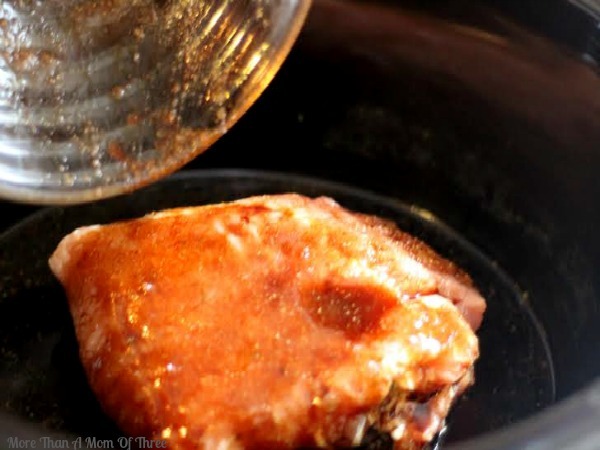 Grease bottom and sides of slow cooker with olive oil. 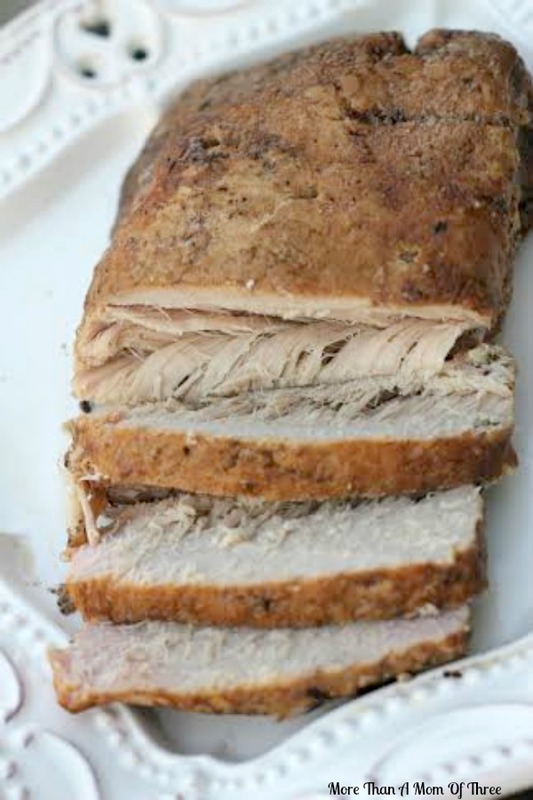 Season pork loin with salt and pepper. 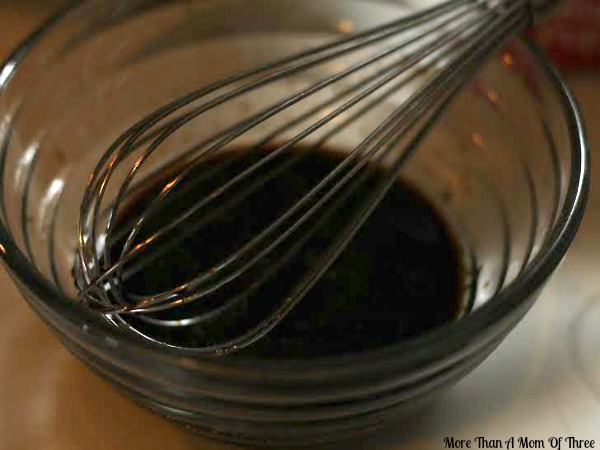 Whisk balsamic vinegar, garlic, broth, brown sugar, and Worcestershire in a small bowl. 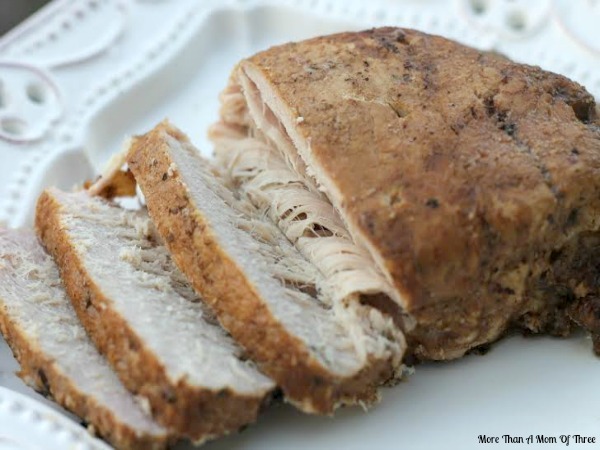 Place pork loin in bottom of slow cooker. 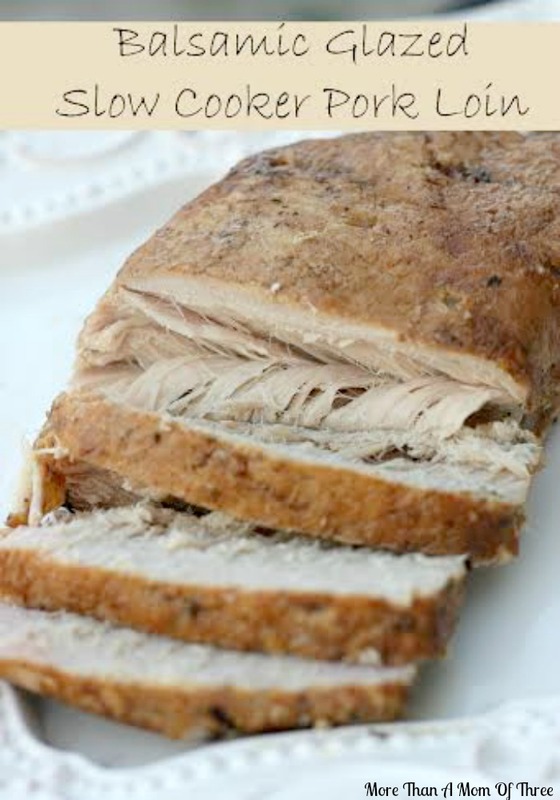 Pour balsamic vinegar mixture all over pork loin to coat. Occasionally spoon liquid over pork loin. 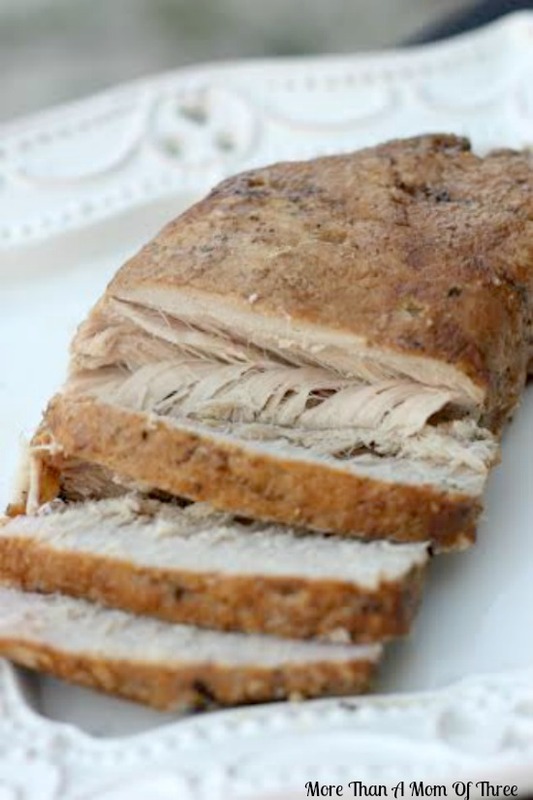 If you want to serve sliced cook less time, for shredded pork loin let it cook longer.